Well, well, well, up until this week Instagram was everyone’s favourite photo application and we spent our days snapping, cropping and filtering all kinds of rubbish, from our breakfasts to our totally awesome pedicures (gross). However, everything changed this week when Instagram announced it had made a number of amendments to its policies that may (or may not) mean that users’ photos could be sold to third parties for its own profit in the future. Judging from Twitter’s reaction some people don’t seem to really care and others are outraged, so guys this list is for you, full of alternative photo apps whether you’re looking for something to fill that vintage filter-shaped hole in your heart or just a service that lets you show off how pretentious your eating habits are. Let us know in the comments below what your favourite Instagram alternative is and we’ll create a reader’s list too. 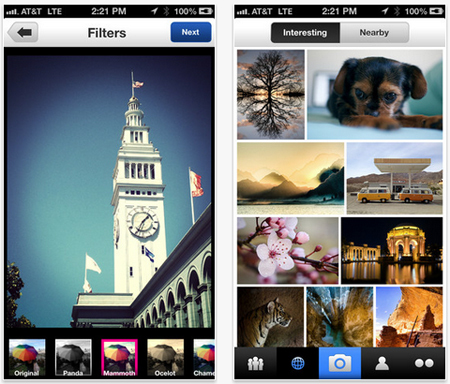 It’s got online photo storage covered, but last week Flickr re-launched both its iOS app and website with a clean design, much more intuitive experience and of course filters in order to compete in the lucrative photo editing app arena too. It’s been one of our favourite editing apps for some time now, but more might flock to it given Instagram’s most recent controversy. The great thing about Camera+ is there aren’t just tonnes of options for editing your images and adding filters, but right from the word go you’re able to take better photos with its built-in camera with added features. Google-owned Snapseed made headlines earlier this year when Guardian photographer Dan Chung used it to take and edit images from his coverage of the Olympics. Since then it’s become more and more popular for its comprehensive (yet super simple and intuitive) editing features and bank of cool filters. 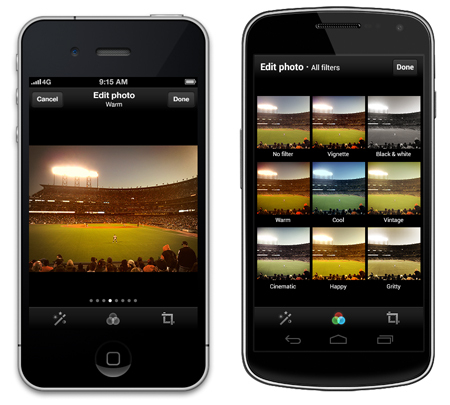 It’s a bit more silly than the others, because you’re not really applying filters but get to “awesomize” them instead. 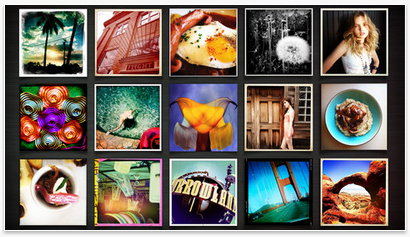 However, it’s great for those who love the simplicity of Instagram, as it’s very easy to use. It may not be packed full of the features we’ve come to expect from Instagram, but its new filters clearly make it a viable alternative, particularly if you like sharing all of your creations with your Twitter followers anyway. It’s super simple and an old Shiny Shiny favourite, but even though CameraBag may not be an all-singing and all-dancing alternative, it’s packed full of great vintage filters and allows you to share your images elsewhere. Some iPhone users were crazily adding retro filters to their images before Instagram could even walk, so it’s quite funny to think users may come crawling back to the Hipstamatic community. Although the company has faced some hurdles over the past year or so, it’s still going strong, a firm favourite among some photographers and is packed full of more features than Instagram. Another app packed with filters and all the features you’d expect from a photo app, but TaDaa allows users to vote images up and down, which is a great way of weeding the rubbishy ones (or just unpopular people) out from the rest. It’s very similar to Instagram in many ways, because it’s got a range of filters and editing effects, the only difference is the team behind EyeEm (probably) won’t sell a photo of your face without your consent to the highest bidder. 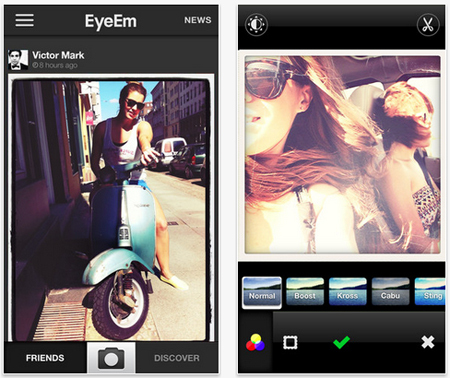 The way photos are categorised within EyeEm is a little different, as they can be grouped by events, themes and much more. A great app for those who sometimes feel a bit limited by the choice of options within Instagram, as according to the app’s write up on Google Play there are 5,000,000 possible finishes for each image, which will either excite you or give you a bit of a headache. 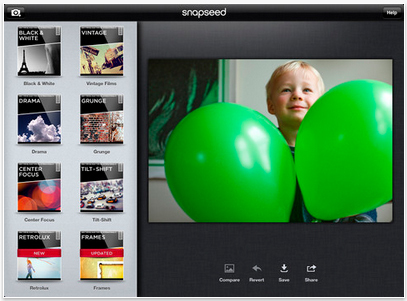 Choose from 100 different filters, 280 overlays and 200 borders. We’re not sure how there are 200 borders, but it’s great for those with a lot of time on their hands. What about PicsArt?! Amazing it isn't on this list. It's the #1 photo app on Android (about to launch on iPhone) and is a massively full-featured photo editor with a simple, elegant social network plugged into the app, as well. It far, far outshines most, if not all, on this list.